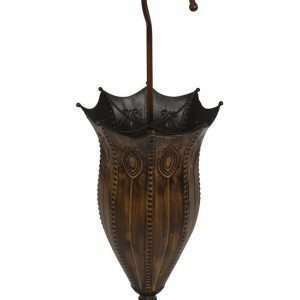 If you are looking for high quality umbrella stands for your hallway area,Furniture Chelsea is your one-stop as we offer a huge selection of umbrella stands that help you get ready to go outside without any hassle during rainy weather. These practical and stylish pieces help you store your wet umbrellas in style, allowing them to air-dry easily ready to be used again the next time it rains. Whether you want to add a bit of old-time glamour to your home or you need a modern umbrella stand to match your contemporary style, we have a variety of options to fit your needs. We have umbrella stands in a wide range of styles, colours, shapes and sizes. These umbrella stands are made of water-resistant materials or they have a protective outer layer, so you don’t need to worry about rust or damp. They not only decor your entryway but also store your umbrellas in an organized manner. Whether you are looking for antique, cast iron, vintage, ceramic or wicker umbrella stand for your home, explore our latest selection!